What kind of year do you feel you are expecting? What kind of year are you expecting? – because there is almost every chance that you will get it. Life just occurs, one moment at a time and the signals moving through our nervous system to our brain take time to process. Whatever we are experiencing , we are experiencing inside and after the actual event AND has been filtered through our personal relational database – our past experience. Therefore everything in life is filtered by our interpretation and so we have already set a benchmark – it is as we say it is. So what else would you like to say? 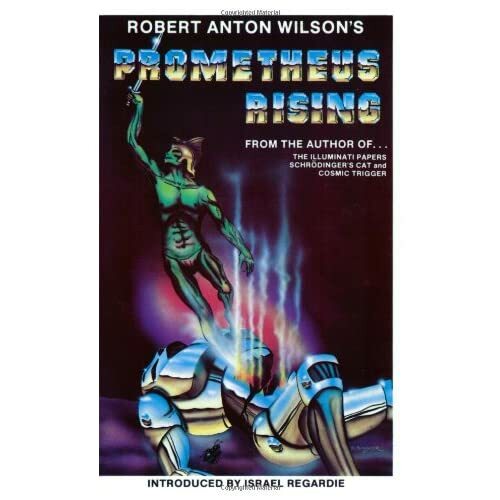 My Mentor, Steve Crabb often uses the example “What the thinker thinks, the prover, proves” ~ from Robert Anton Wilson’s ‘Prometheus Rising‘. Landmark Education proved to me that I can always find the evidence to prove life is how I say it is and I have noticed the tone that I take causes the quality of my experience. So, the Financial situation that the world finds itself in is caused by conversation or the Frame in which we put it. Sure, the facts are the facts but it is feelings that cause action and action is how to reSOLVE everything. In NLP we use a technique of spinning feelings; imagining the feeling floating out side of our body and by using our imagination, describing it in detail, using every sense that fits. Reframing and spinning remind me of my personal favourite quote, which comes from Louise L Hay, in her book ‘You can heal your life’. How are you feeling about 2012? Thinking about it now, while you imagine your loved ones, the last really great joke you heard and your favourite drink and your favourite place on earth … How are you feeling about 2012? This year is going to be the most rewarding year, financially, emotionally and experientially, because I say so and it feels that way to me. The only thing that stands in the way of that is what I might say as the year progresses.